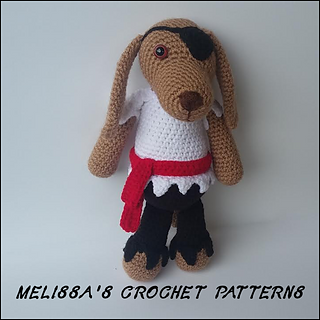 This adorable pirate puppy measures 11 inches long. 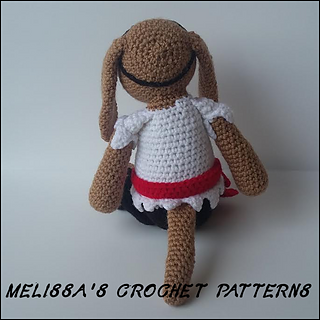 Your size will vary depending on the yarn you choose, the crochet hook you choose, and your tension while crocheting. 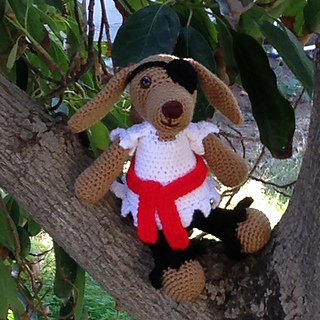 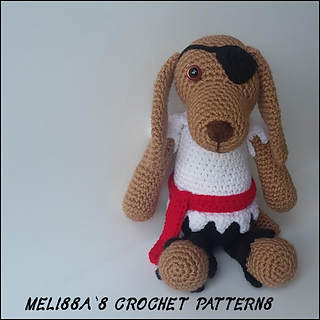 I used worsted weight yarn and a size D hook to get my Pirate Puppy to 11 inches. 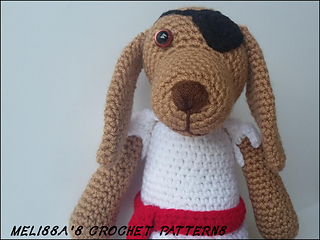 This is a 10 page pdf file with many helpful pictures to help you better understand the pattern. 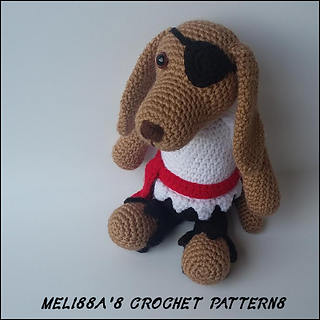 This pattern and all my crochet patterns have been tested by multiple pattern testers.